Sony PS4 (a.k.a Sony PS4 Slim after the 2016 update) is Sony’s latest generation PlayStation console. Sony PS4 Slim and the Sony PS4 Pro come with a more powerful hardware and are designed to respond to shift in consumer gaming behaviour. The Sony PS4 comes with a refreshed wireless controller, the Dualshock 4 for an amazing gaming experience. 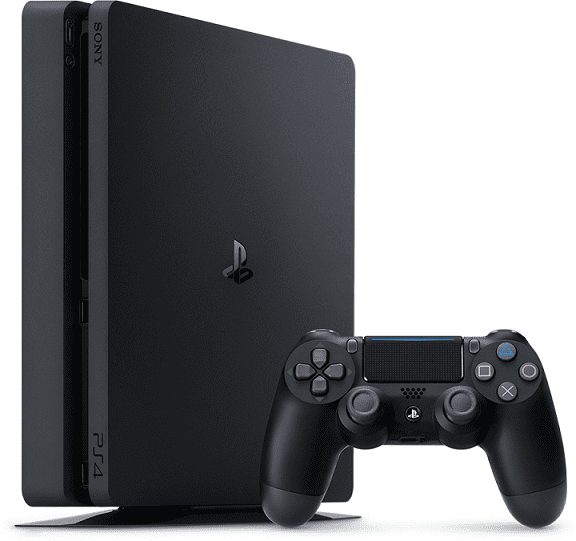 Sony PS4 promises great power and graphics performance with an 8-core x86 processor, a dedicated AMD Radeon Graphics processor, a dedicated video compression chip, and 8GB GDDR5 RAM. Sony PS4 originally came with only 500GB HDD storage, but with the launch of the Sony PS4 Slim in 2016, a model with 1TB HDD storage was added to the lineup. There is also a Blu-Ray drive, which also play DVDs and VCDs. 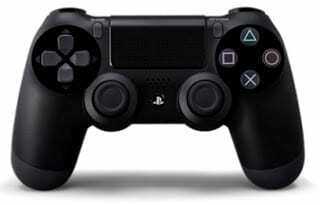 Dualshock 4 controller, the wireless controller for the Sony PS4 Slim, features a touchpad providing a new way of interacting with games. Dualshock 4 also features dedicated share button for easily sharing your progress and game fun with friends. It also comes with a six-axis accelerometer/gyroscope. Sony PS4 Slim (a.k.a Sony PS4 (2016)) comes with one DualShock 4 wireless controller included in the box. 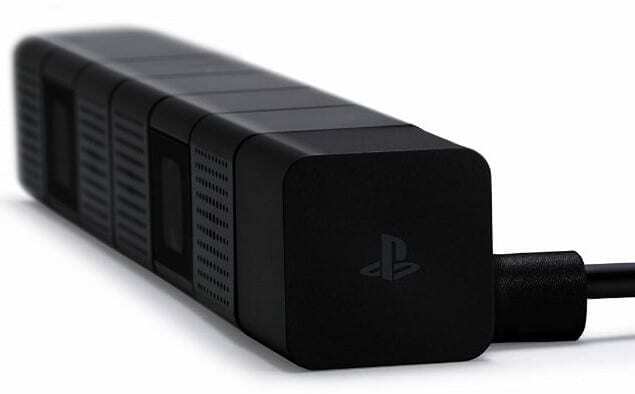 The PlayStation Camera comes with two HD cameras for face recognition login, 3D tracking (with head tracking and gesture tracking) and motion control and four microphones for better voice commands. PlayStation 4 camera also allows you show live footage of yourself when broadcasting your game in a picture in picture format for a more engaging experience with your audience. The PlayStation Camera is not included in the box, you have to buy it separately. If you want to play with the PlayStation VR virtual reality set, you must buy the PlayStation Camera. Sony PS4 Slim supports gaming on mobile devices. The Remote Play allows owners of the PS4 consoles play their PS4 games on mobile devices. The PlayStation Remote Play feature first supported only the Sony PlayStation Vita portable games console, but have now been extended to flagship Sony Xperia phones like the Xperia Z3, Xperia Z4, Xperia Z5, and Xperia X via the PlayStation App. In Remote Play, the Sony PS4 Slim console serves as a server for your mobile devices, enabling you play your games on different devices like your flagship Xperia phones and tablets as well as the Sony PlayStation Vita. One of the biggest additions to the Sony PS4 is game streaming via the PlayStation Now service. This just works more like video streaming. You do not need to completely download a game before you can start playing. Once a portion of the game downloads, you can commence play with the Sony PS4 Slim, while the rest the downloads. Game streaming will also enable games to be played remotely. Games will reside in servers, and accessible to different devices via cloud gaming. However, game streaming requires superfast internet, Sony recommends 5Mbps. One of the possibilities of game streaming is the ability to tryout games before you buy. With game streaming, you can play one or more stages of the game first and if you like the experience you can now pay for the complete download. This is more like the model Amazon has successfully used to sell books online and could even work better with games. However, this feature is still limited. Social networking has grown big and Sony is making its latest gaming console more social. Sony PlayStation 4 will enable players broadcast live gameplay to UStream allowing their friends to watch their progress. This will possibly create more users engagement and turn owners of Sony PS4 as chief marketers of PS4 games. Another social feature of the Sony PS4 Slim has the ability to share footage of your gameplay with friends. Sony PS4 Slim allows you to upload recorded gameplay videos to YouTube. Love a PS4 game? You can recommend it to your friends on Facebook and other social media sites. Due to differences in architecture the Sony PS4 Slim will not play PS3 games natively. However, Sony promised to make PS3 playable in some form. You can stream PS3 games on your Sony PS4 Slim via the PlayStation Now service. Sony PS4 Slim gaming consoles are available in Nigeria, Kenya, and Ghana. You can buy the flagship gaming console at leading online stores in the country. 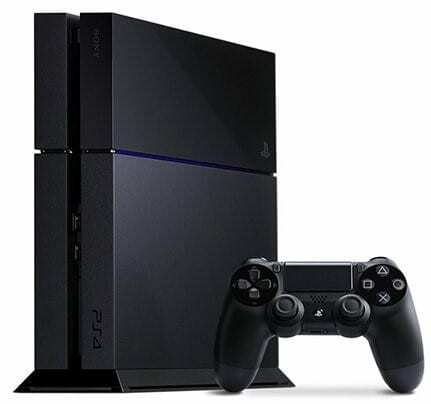 Sony PS4 Slim Price in Nigeria ranges from 130,000 Naira to 210,000 Naira, depending om the configuration and whether or not the console is bundled with games and/or accessories.